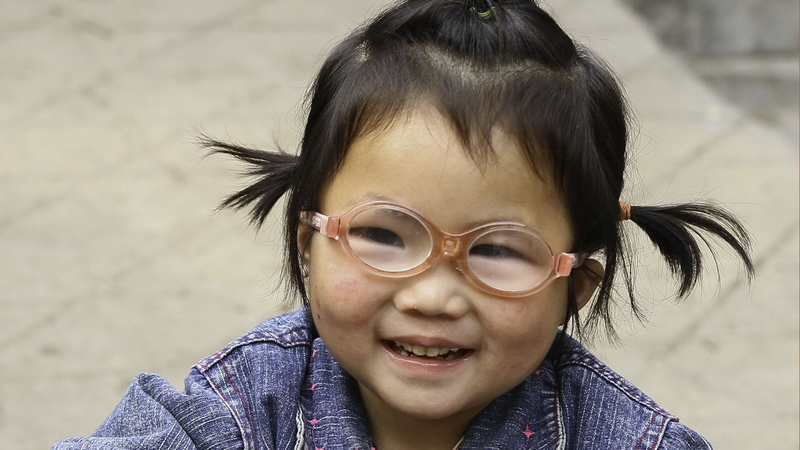 With her heart surgery in Beijing behind her, her special eyeglasses to improve her eyesight weakened from congenital cataracts, and her newly discovered love for music, Yimei has blossomed, transforming from a shy little girl to an engaged preschooler who participates in activities and takes the initiative to ask for help from her teachers. 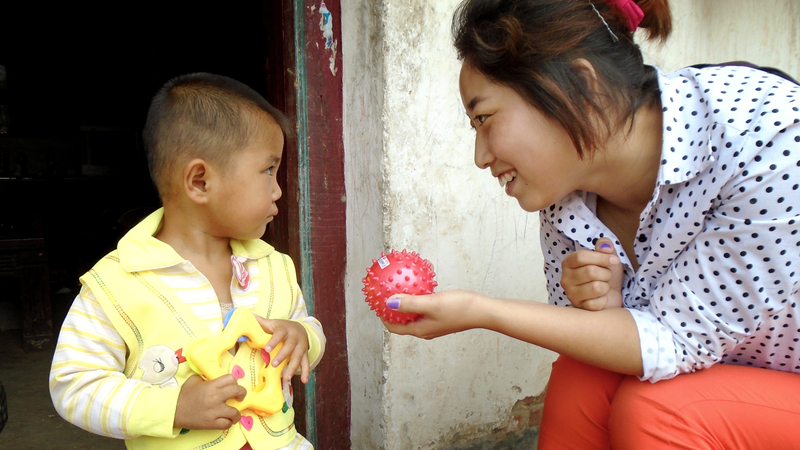 One day Yimei’s teacher Yu Chengling created a game for the whole class. While one child drummed, the other children passed around a ball. 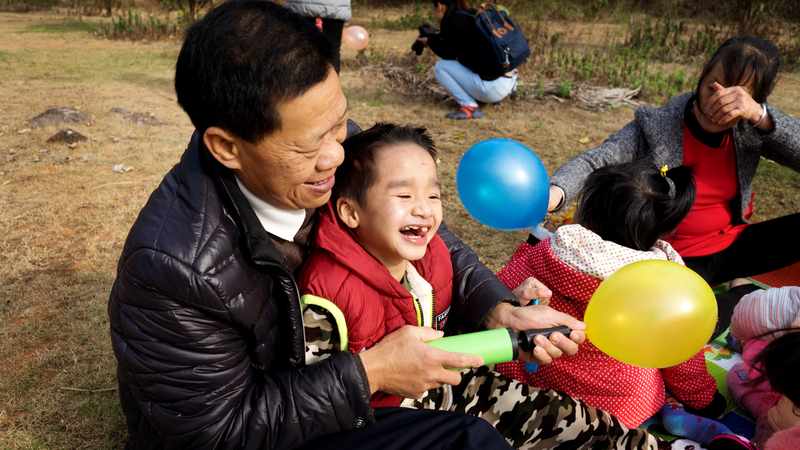 Once all the children were having a lot of fun, Yimei approached Yu Chengling and looked at the drum carefully with great interest. 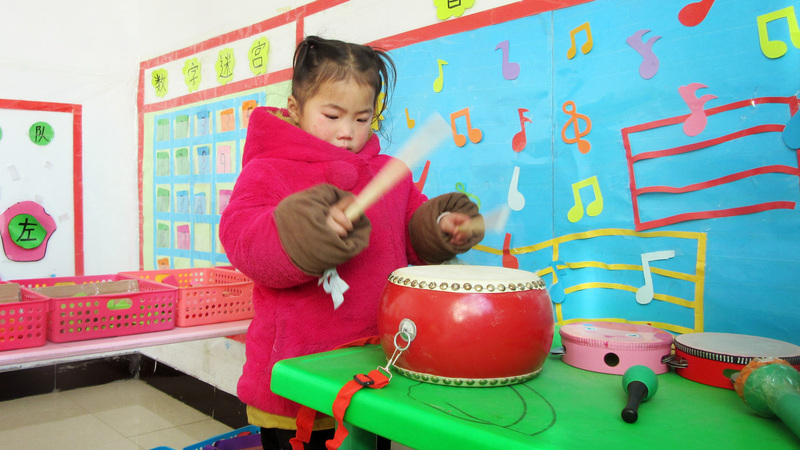 Yu Chengling asked her, “Do you want to beat the drum?” Yimei nodded, so her teacher invited her to beat the drum, which she did expertly, with nice rhythm. This inspired Yu Chengling, with help from two other teachers, to design a music corner for the children. One day Yimei entered the new music corner during play time. At first, she played with a jigsaw puzzle in the shape of a drum. Then she started to beat a drum. Then she asked another child to beat the drum while she sang a song called Little Stars using a toy microphone. 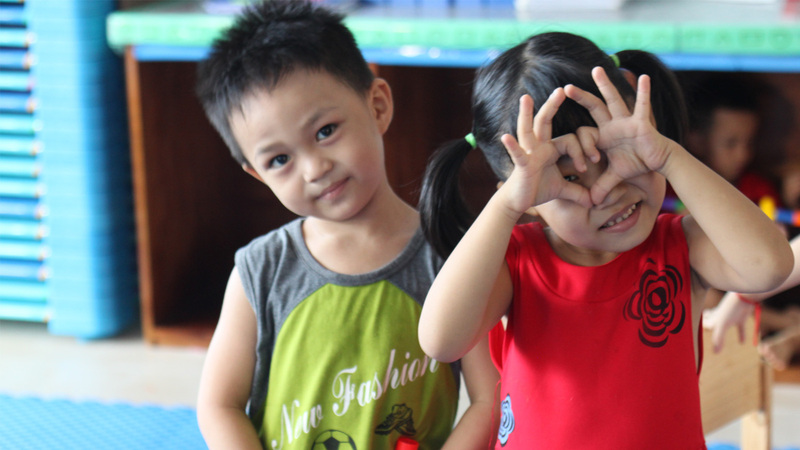 The other children soon started singing along with Yimei. 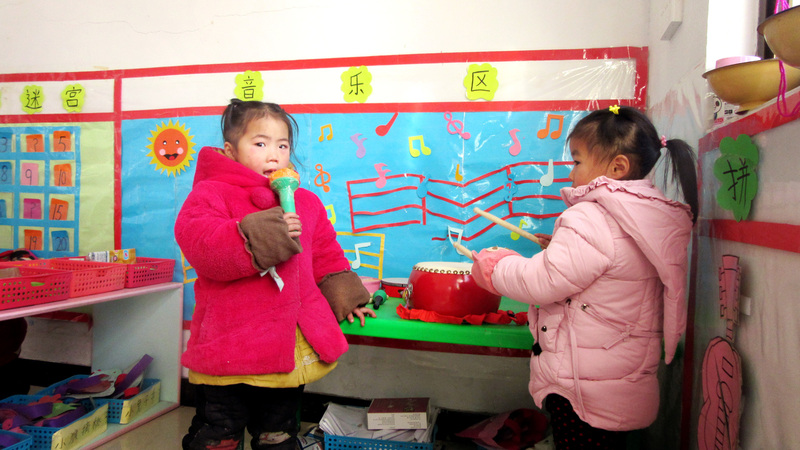 Since that day, Yimei sings and plays the drum in the music corner very often and when she does she also involves and cooperates with other children. 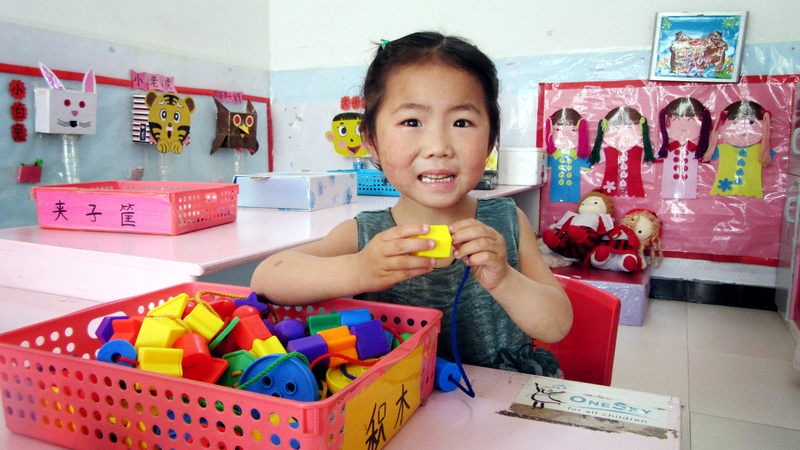 Thanks to the fact that Yu Chengling observed her interest in music closely and all the teachers helped create an opportunity for her to express it, Yiemi has become more and more cheerful. Yimei was also chosen for special attention by our community engagement team, which chose her to be a case study and in appreciation for her cooperation received a beautiful outfit as a gift. She loves her new clothes—the first time she wore them she spun round and round modeling them for the teachers. 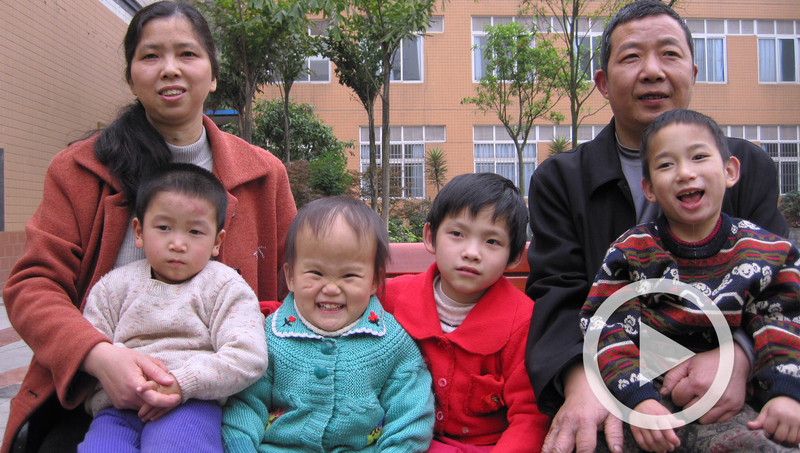 In addition, Yimei’s vision is improving thanks to the efforts of her teachers and her grandmother. 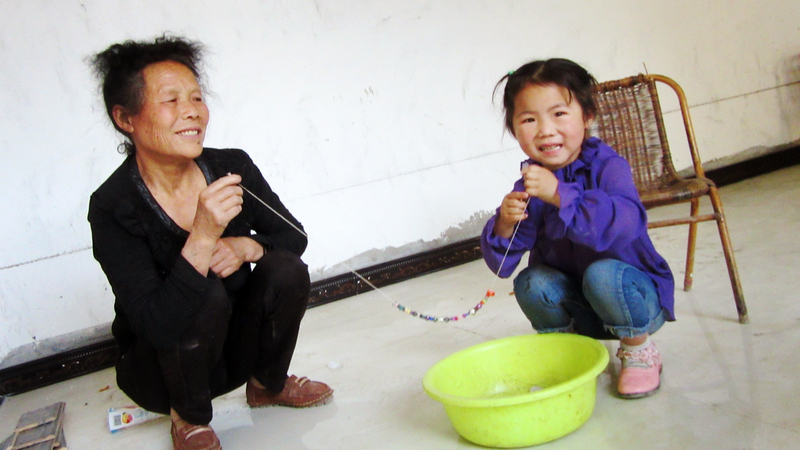 The teachers do eye exercises together with Yimei and she strings beads during play time, both of which are good for her vision. At home, Yimei’s grandmother keeps her away from the television. 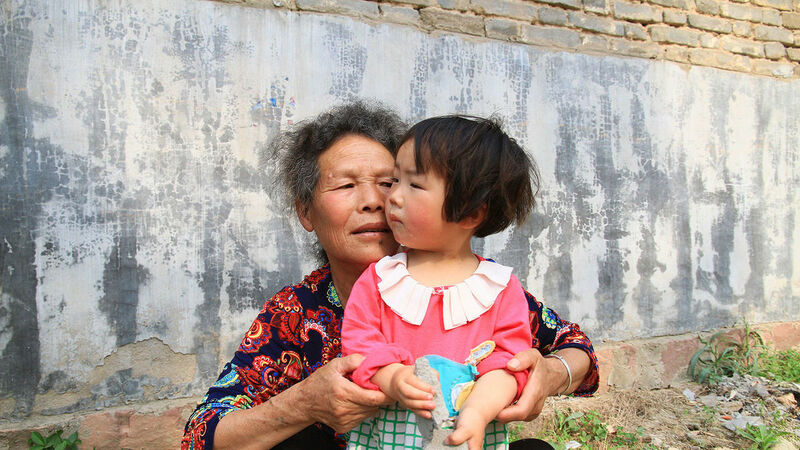 Instead, her grandmother tells her stories or takes her to play with other children.